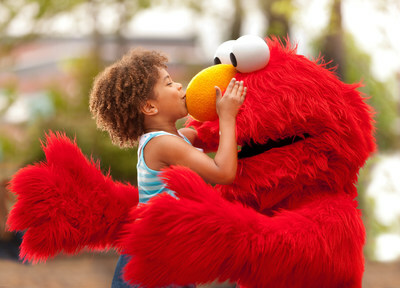 ORLANDO, Fla. and NEW YORK, May 18, 2017 /PRNewswire/ -- SeaWorld Entertainment, Inc. (NYSE: SEAS), a leading theme park and entertainment company, and Sesame Workshop, the nonprofit organization behind Sesame Street®, today announced the extension of their 37-year partnership to include the development of an additional Sesame Place® theme park in the United States. The current Sesame Place theme park, located in Langhorne, Pa. between Philadelphia and New York City, is the nation's only theme park based entirely on the award-winning educational program Sesame Street. The new license agreement between Sesame Workshop and SeaWorld Parks & Entertainment extends SeaWorld's status as Sesame Workshop's exclusive theme park partner in the United States, with the second Sesame Place theme park scheduled to open no later than mid 2021 in a U.S. location to be determined. After the opening of the second Sesame Place, SeaWorld will have the option to build additional Sesame Place theme parks in the U.S. The agreement also makes it possible for Sesame Street characters to continue to appear at the existing distinct Sesame Street lands inside the company's two Busch Gardens theme parks and SeaWorld theme parks in San Diego and San Antonio, as well as a new Sesame Street land to be built in SeaWorld Orlando by fall 2022. "We know that the magic of theme parks gives families a unique and powerful way to experience and delight in the Sesame Street characters," said Jeffrey D. Dunn, Chief Executive Officer of Sesame Workshop. "Building more Sesame Place theme parks will enable us to connect with even more families and provide funding that supports our nonprofit mission." The Sesame Place theme park features a variety of exciting family rides, water slides, live character shows, a daily parade, and seasonal events that help bring the educational world of Sesame Street to life beyond the show. Sesame Place also extends Sesame Workshop's commitment to social impact work with its Sesame Place Cares annual series of events both in and outside the park, including a 30-year partnership with Variety--The Children's Charity, focused on providing events with a safe and fun atmosphere specifically for children with disabilities and their families. "Expanding our Sesame Place theme park footprint will both deepen our relationship with longstanding fans and help us to connect with new families," said Steve Youngwood, Chief Operating Officer of Sesame Workshop. "This partnership will also enable the Workshop to continue producing high-quality educational programming for the next generation." Under the terms of the new license agreement, the companies have agreed to extend their collaborative relationship through December 2031. Sesame Workshop is the nonprofit media and educational organization behind Sesame Street, the pioneering television show that has been reaching and teaching children since 1969. Today, Sesame Workshop is an innovative force for change, with a mission to help kids everywhere grow smarter, stronger, and kinder. We're active in more than 150 countries, serving vulnerable children through a wide range of media, formal education, and philanthropically-funded social impact programs, each grounded in rigorous research and tailored to the needs and cultures of the communities we serve. For more information, please visit sesameworkshop.com. SeaWorld Entertainment, Inc. (NYSE: SEAS) is a leading theme park and entertainment company providing experiences that matter, and inspiring guests to protect animals and the wild wonders of our world. SeaWorld Parks and Entertainment, Inc. is a wholly-owned subsidiary of SeaWorld Entertainment, Inc. The company is also one of the world's foremost zoological organizations and a global leader in animal welfare, husbandry and veterinary care. The company also rescues and rehabilitates marine and terrestrial animals that are ill, injured, orphaned or abandoned, with the goal of returning them to the wild. The SeaWorld® rescue team has helped more than 29,000 animals in need over the last 50 years. This press release contains statements that are "forward-looking statements" within the meaning of Section 27A of the Securities Act of 1933, as amended, and Section 21E of the Securities Exchange Act of 1934, as amended, which are subject to the "safe harbor" created by those sections. These statements include, but are not limited to, statements related to SeaWorld's plans, objectives, goals, expectations, beliefs, business strategies, future events, business conditions, business trends and expectations with respect to the opening of the second Sesame Place theme park and additional Sesame Place theme parks. These forward-looking statements, which are identified by words such as "might," "will," "may," "should," "estimates," "expects," "continues," "contemplates," "anticipates," "projects," "plans," "potential," "predicts," "intends," "believes," "forecasts," "future," "guidance," "targeted," "scheduled" are subject to a number of risks and uncertainties that could cause actual results to differ materially from the forward-looking statements contained in this press release, including the risks, uncertainties and factors set forth in the section entitled "Risk Factors" in SeaWorld's most recent Annual Report on Form 10-K and in subsequent reports, including Current Reports on Form 8-K, that SeaWorld files or furnishes with the Securities and Exchange Commission ("SEC"). SeaWorld's filings with the SEC are available from the SEC's EDGAR database at www.sec.gov and via SeaWorld's website at www.seaworldentertainment.com. Accordingly, there are or will be important factors that could cause actual outcomes or results to differ materially from those indicated in these statements. These factors should not be construed as exhaustive and should be read in conjunction with the other cautionary statements that are included in this release and in SeaWorld's filings with the SEC. SeaWorld undertakes no obligation to publicly update or review any forward-looking statement, whether as a result of new information, future developments or otherwise, except as required by law.